Like making dishes from any ethnic persuasion, the most consuming task is shopping for the ingredients themselves. Once again I went to Lotus in the strip and was able to find everything I needed. 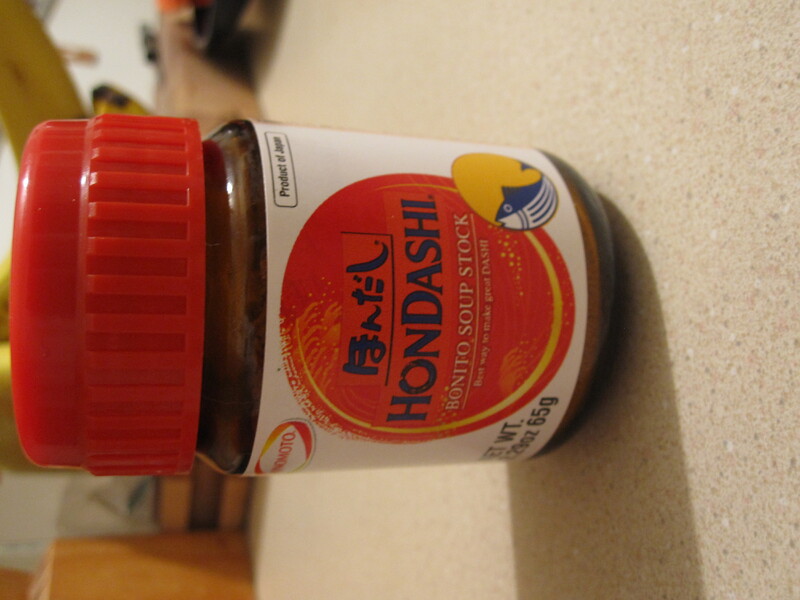 The fist unique ingredient to me, was dashi. Dashi is the basis of the soup broth and this version is instant- just add to boiling water. I boiled 4 cups of water and added 1.5 Tablespoons of the dashi, whisking to disolve. Meanwhile, I prepped my seaweed. A little dried seaweed goes a long way. 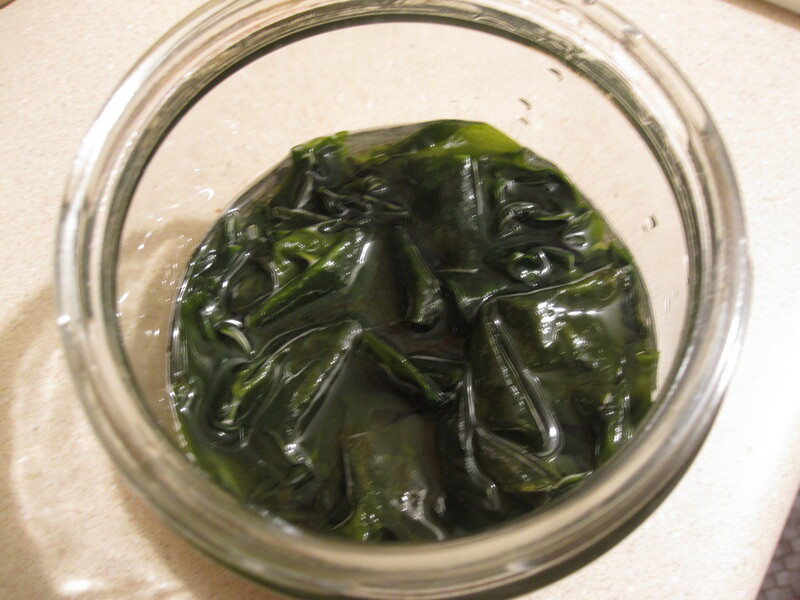 Just a tablespoon of dried seaweed is needed for a full pot of soup (for 4). 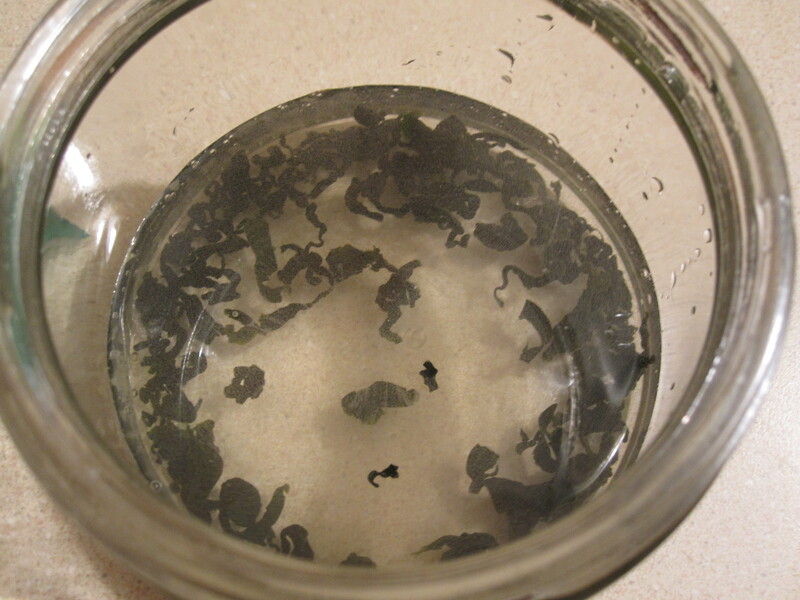 Place the tablespoon of dried seaweed in some water and let it reconstitute, which takes a few minutes. Another key ingredient here is miso paste. The Asian market had a good selection to choose from and I, knowing nothing, just selected this one. It worked out great and I enjoyed the flavor. In order to incorporate the miso paste into the broth, first mix it with 1/2 cup of the hot broth you have created with the water and dashi. Next, you will want to prep the tofu. 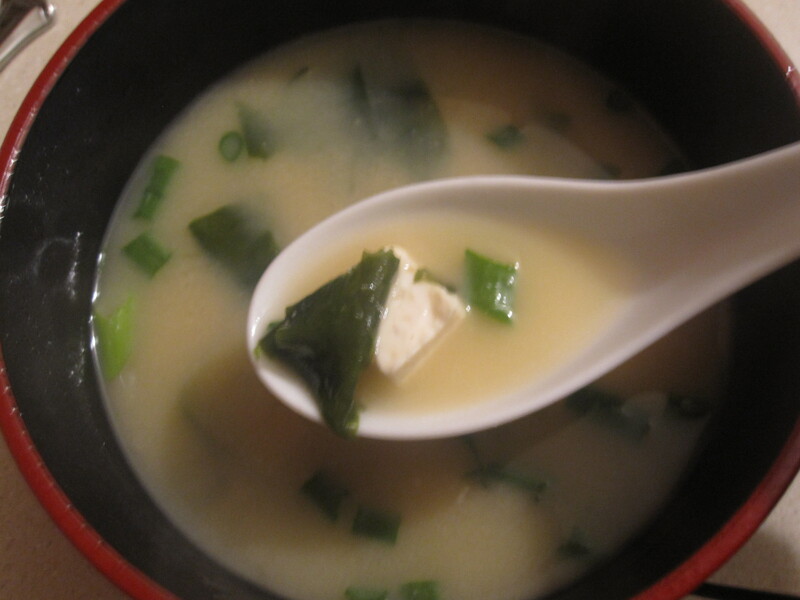 While tofu may not be essential, it provides a nice bite to the soup. I enjoy it a lot. I went with a firm tofu and cut it into little cubes. Once you have the dashi broth going, you can add the seaweed and tofu. Next, add your miso paste mixture. At this point you are basically done! We have some very kind friends living in Japan who gifted us with some authentic Japanese dishes, including these perfect soup bowls. Ladle the soup into bowls and garnish with some sliced green onion. Serve nice and hot. (So hot in fact, that most of your pictures are steamy). Here is the link to the exact recipe I followed and some more information about the ingredients as well. Miso Soup. I know you will enjoy this one! This entry was posted in Appetizers, Asian, Soups and tagged dashi, Green onion, homemade, miso paste, miso soup, recipe, seaweed, soup, tofu. Bookmark the permalink.